Production has commenced at Pinewood Studios outside London on “The One and Only Ivan,” a live-action/CG hybrid adaptation of the children’s book by Katherine Applegate directed by Thea Sharrock (“Me before You”). The screenplay is by two-time Independent Spirit Award winner Mike White (“Pitch Perfect 3,” “The School of Rock”) based on Applegate’s award-winning book and the producers are Oscar® and three-time Golden Globe® winner Angelina Jolie (“First They Killed My Father,” “Maleficent”), the late Allison Shearmur (“Solo: A Star Wars Story,” “Cinderella”) and Brigham Taylor (“Christopher Robin,” “The Jungle Book”). “The One and Only Ivan” stars Academy Award® and Golden Globe® nominee and four-time Emmy® winner Bryan Cranston (“Trumbo,” “Breaking Bad”); Ramon Rodriquez (“Iron Fist,” “The Defenders”); Arianna Greenblatt (“A Bad Moms Christmas”); Indira Varma (“Patrick Melrose,” “Exodus: Gods and Kings”); and Eleanor Matsuura (“Wonder Woman,” “Sherlock”). The film features the vocal talents of Angelina Jolie, Academy Award® winner Sam Rockwell (“Three Billboards outside Ebbing, Missouri,” “Moon”) and Critics’ Choice Award winner Brooklynn Prince (“The Florida Project”). Oscar® and three-time Golden Globe® winner Helen Mirren (“Winchester,” “The Queen”) and Emmy® and Golden Globe winner Danny DeVito (“Dumbo,” “It’s Always Sunny in Philadelphia”) have also signed on to voice characters in the film. 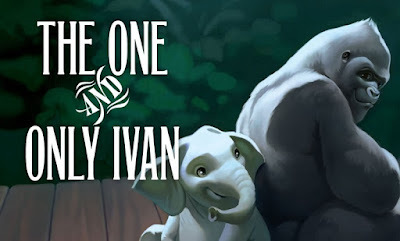 Based on the true story of a uniquely-talented gorilla and the other animals who share a communal habitat at a suburban shopping mall, “The One and Only Ivan” is an unforgettable tale about the beauty of friendship, the power of visualization and the significance of the place we call home. Applegate’s book, a #1 New York Times’ bestseller, has won numerous awards, including the Newberry Medal for the most distinguished contribution to American literature for children in 2013.